Danielle Rugani transfer to Chelsea has persisted all through the summer as several conflicting information from media sources continues to filter in. However, if report from Evening Standard is to be believed, then Chelsea are a step closer to snapping the player from Juventus on a five-year deal. 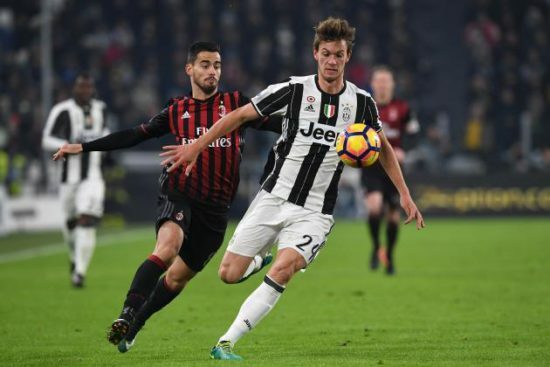 According to the report, Rugani has agreed to personal terms with the Blues apparently offering the Italian international £76,000 a week to leave Turin this summer. However, all has not been concluded as Juventus are still playing hardball about the transfer fee. Chelsea wants to pay £45 million for the 23-year-old but Juventus have no intentions of selling the defender. The Turin side have offered other options to Chelsea to dissuade the Blues from signing the highly rated Italian defender which includes signing Gonzalo Higuain. However, Sarri is keen on Rugani who is a disciple of Sarri-ball whom he coached during his stint at Empoli. Chelsea are also looking towards other options such as Barcelona defender as Rugani’s situation continues to drag-on. Chelsea have so far made only one signing snapping Jorginho from Napoli in a £57 million move this month. The Blues are currently participating in the ICC tournament and defeated Inter Milan recently on penalties.